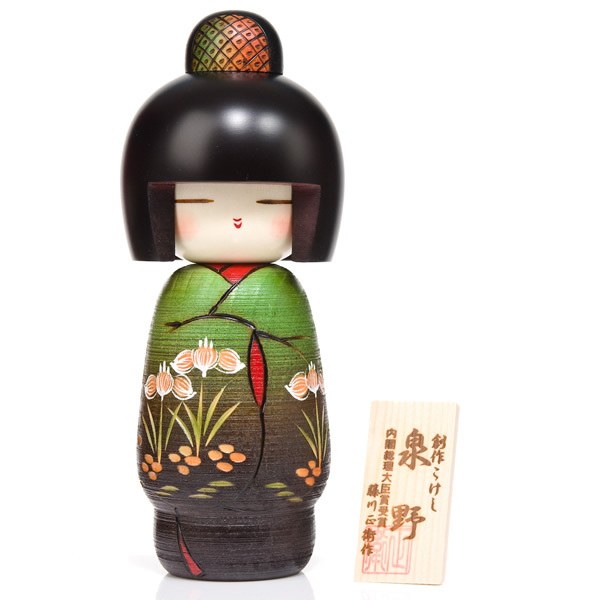 The Green Iris Floral Japanese Kokeshi Doll makes an exquisite and highly covetable gift. The iris is traditionally said to purify evil energies and protect oneself, so this doll is ideal as a good luck gesture for someone embarking on new ventures - although it'll also go down well as a birthday or Christmas present. Bring the colours and patterns on the Green Iris Floral Japanese Kokeshi Doll to life with a large black display base, available to purchase separately. Brighten up someone's day with the Green Iris Floral Japanese Kokeshi Doll, available to purchase both online and in-store, and don't forget about our FREE gift wrapping service. Great quality doll and beautifully decorated. Lovely packaging and fast delivery; all together a great service.